The Sapphire Beach condominium complex is located right on Dover Beach, just minutes away from St. Lawrence Gap’s restaurants, shops, and nightlife. Suite #509 has three bedrooms, including two master bedrooms, and an open kitchen/living area in cool tones to complement the tropical atmosphere. You have your choice of entertainment options, but the balcony is likely to be the most used as it offers great views of the ocean and surrounding island scenery. The beach is just a few steps away, and guests can also use the complex’s two freshwater swimming pools and fitness center. Private parking and twice weekly maid service is included for your convenience at this comfortable holiday home. 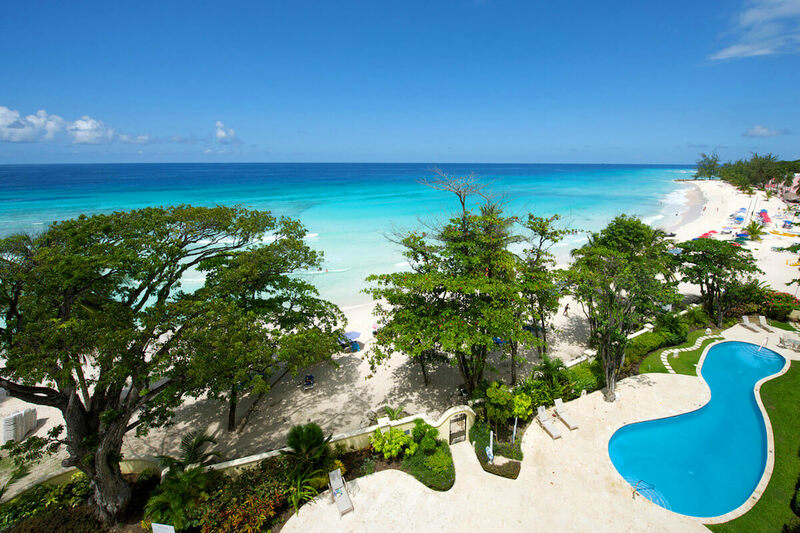 Sapphire Beach is a beachfront condominium complex located in the Dover area, on the south coast of Barbados. Located within easy walking distance to the restaurants and nightlife of St. Lawrence Gap, all of the apartments overlook Dover Beach and the Caribbean Sea. Sapphire Beach #509 is a three-bedroom penthouse apartment with air-conditioning and ceiling fans throughout. The living room features cool tropical tones, flat screen TV, DVD player, and access to the balcony and its views of the beach and ocean. The open-plan kitchen is modern and fully-equipped. The master bedroom has a king bed, en-suite bathroom, flat screen TV, DVD player, iPod dock, and glass doors that lead to the balcony. The second master suite has a queen bed, en-suite bathroom, flat screen TV, DVD player, and iPod dock. The third bedroom has twin beds and sits adjacent to the hallway bathroom.